Abstract: In a recent video posted online, a puppy has been shown steering an FOSJOAS electric scooter for a while. 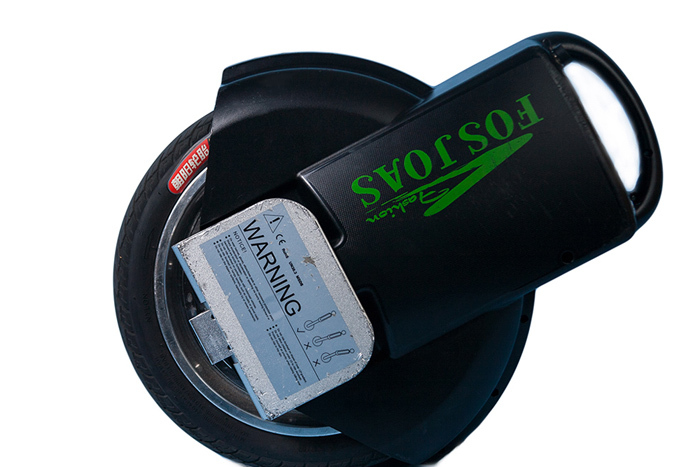 This reveals that riding an intelligent self-balancing scooter from FOSJOAS is simple, safe and risk-free. People who are still apprehensive about riding an FOSJOAS self-balancing scooter can be inspired by a recently published online video. The video features a small dog staying on an FOSJOAS V3 electric scooter for a while, without encountering any safety related issue. The video thus reveals that riding an electric scooter is not difficult and unsafe. On the contrary, it is safe, risk-free and a fun way to cover small distances in an energy-efficient and eco-friendly manner. According to the FOSJOAS spokesperson, their all self-balancing scooters are innovatively designed with anti-collision and streamline features to travel safely. The gyroscope system allows the rider to move forward smoothly and achieve a significant control on the movement of the scooter. By leaning back and forth, one can change the speed of the scooter and by leaning sidewise one can change the direction of the movement. The integration of aviation attitude control technology makes the task of accelerating or decelerating the scooter simple and effortless. Commuters who use an intelligent self-balancing scooter for their personal transportation can enjoy several types of benefits. These self-balancing scooters are fast becoming popular to move through congested and crowded space and save both time and energy-cost. All FOSJOAS products feature lower energy consumption with a highly reduced emission rate. This is the reason why these self-balancing scooters are remarkable from the energy efficiency and eco-friendliness points of view. The spokesperson reveals that a two-wheeled scooter is a lot easier to ride than a unicycle that comes with a single wheel. Beginners can start with a two-wheeled self-balancing scooter without any fear and can develop the expertise and skill to start riding a single-wheeled unicycle. Besides publishing the online video, FOSJOAS has been organizing their product showcases in different countries of the world where people can glimpse through their product range and can also try riding the self-balancing scooters for fun and enjoyment. The objective is to promote this modern personal transportation means that may soon replace the traditional modes of transportation. To learn more about the self-balancing scooters and to learn more about riding them safely, one may visit the website www.fosjoas.com.